Addresses: auditory and visual perception difficulties, specifically visual closure, visual tracking, auditory discrimination, auditory visual integration, auditory closure, and auditory memory. 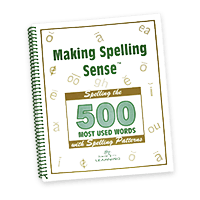 It is phonological, incorporating every vowel and consonant combination in the English language, with lots of review built in. It also includes a retrieval automaticity component that is critical in ensuring that children understand what they read. The auditory areas addressed are: auditory discrimination, auditory closure, auditory visual integration, auditory memory, and auditory visual coordination. The visual areas addressed are: visual tracking, visual closure, visual discrimination and form constancy, visual motor, and visual integration. The tactile-kinesthetic areas addressed are: laterality, directionality, spatial-temporal, and sensory motor integration. The English language has a specific structure. 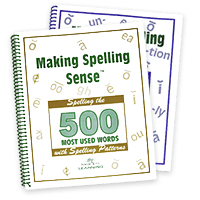 There are eight spelling patterns in the language and the patterns are taught with story explanations. The process used shows students how letters come together eight different ways to make words. It takes the guess work out of spelling. Addresses the following visual, auditory, and tactile-kinesthetic processing areas: visual memory, visual figure ground, visual closure, visual language association, visual language classification, auditory-visual coordination, auditory language association, auditory memory, laterality, spatial temporal, and sensory motor integration. Writing and study skills it covers include: note taking, paragraph writing, essay writing, research paper writing, and letter writing. 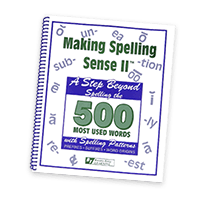 You will be able to teach your students the secrets to improving their reading comprehension as well as the secrets to improve their studying and the seven steps to take on test day to improve their test scores. laterality, directionality, contact, and sensory motor areas of perception. An individual resource for all students. It includes paragraph writing hints, essay writing hints, steps of the writing process, words to make your writing more interesting, common prefixes, suffixes and root words, grammatical and literary terms, how to write a bibliography with examples and much, much more. 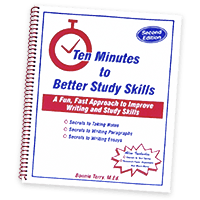 It “unlocks the code” of how to write a sentence, then a paragraph, then a better paragraph, then an essay. The guide helps all to be confident and competent writers. Addresses visual memory and auditory memory too! Students read short passages of materials, identify the main idea and details, and rephrase the content in their own words. 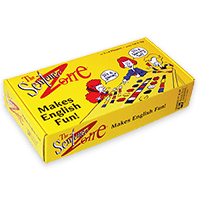 That is exactly what students do when they play the Comprehension Zone. 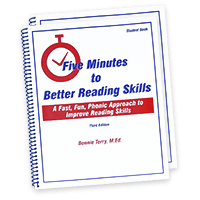 Bonnie has created a visual/kinesthetic method for teaching kids of all ages how to read for meaning. They play for main idea, details, both, or to sequence what they have read or listened to. 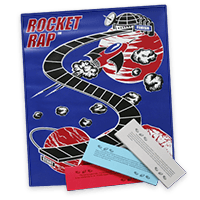 Addresses spatial awareness, visual form constancy, and visual motor areas of perception. Starts with addition and subtraction. Then, this 16-page guide shows step by step how to solve all elementary math calculations right up to fractions and decimals. Also covered are all those “other” math topics, such as word problems, bar and circle graph, rounding and estimating, place value, geometry, measurements, money, and averaging. You’ll learn the how, the why, and the memory tricks to help your students remember. 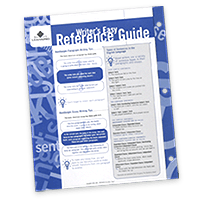 Simple, clear examples, all in a sturdy, 3-hole-punched format you can slip into a binder. 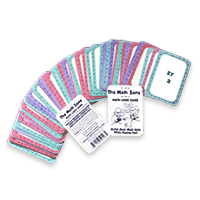 It’s a great supplement to any math program, for both parent and student. Used by families as well as classrooms, typically one per classroom at the primary grade levels. The B&D Stickers come with 10 in a pack and are used with primary age children, typically placed on their desk as a reminder. Middle Grade and High School students who still have reversal difficulties love them and usually put them inside their binders as a reminder. Parents and teachers alike need resources for children who are struggling in school. With today’s fast paced classrooms, many of our children are left behind because their learning difficulties have not been properly diagnosed. Often, children have to wait a long time to qualify for special education testing and by the time the child receives help, it is too late to turn around the feelings of failure. By using this screening tool at the first signs of learning challenges, parents and teachers can provide effective intervention early on leading to more success for the child and less frustration for the parent or teacher. I’m so excited to share this review that just came in. I sent out a few advance copies of the new LD Assessment Tool: Learning Disability Screening Tool to several professionals and The LINK magazine. Here it is. In homeschooling, Bonnie Terry is known as one of the foremost developers of great educational products. She is considered one of the country’s top experts in the field of identifying learning disabilities. Her 30 years’ experience as an educator/learning therapist, provide a rock-solid foundation for producing superb learning materials that are parent-friendly and effective and pleasing to use for children. There is nothing so difficult for a parent as to watch his/her child struggling with reading, spelling, writing or any other language-related skill that might come easily to others, all due to a learning disability. Since these language skills are even more basic and necessary in the grown-up world than math skills, parents of a learning-disabled child often experience much hand-wringing and loss of sleep trying to determine a solution – or even to diagnose what the problem may be. Because the labeling of learning disabilities (and the subsequent pharmaceutical solution) has become such a massive part of public schools, many home-schooling parents are rightly wary of how to find reliable information to assist their child. To solve this dilemma, Bonnie Terry offers a brand new assessment, the Neuro-Developmental Behaviroally-based Learning Disability Screening. The assessment consists of on-point questions to determine if your child has a learning disability, and if so, to what extent. It defines exactly what such a disability is, what causes it and how to understand the differences between dyslexia, a learning disability and a learning difficulty. The questions are designed for parents to answer during an online live session with Bonnie Terry, M. Ed., BCET, based upon their observations and knowledge of their child. This new assessment fulfills Ms. Terry’s mission of providing easy-to-use diagnostic information that parents can use to gain a clear and sensible insight into their child’s true learning topography. This Learning Disability Screening Assessment is the newest addition to the Bonnie Terry Learning library of Awaken the Scholar Within Services and materials to aid parents in the area of teaching children with learning disabilities. A major portion of Ms. Terry’s decades of experience has been as an Educational Therapist. 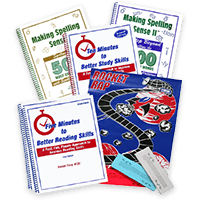 For many years, she has offered her popular Reading Pack just for those children who have difficulty with language-based skills, including reading, spelling, writing and study skills in general.